I am so excited about our brand new event, King's Daughters in Business, Ministry and Politics, which is being launched next Monday evening. 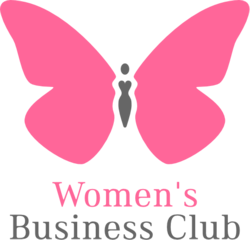 The aim of the event is to support, encourage and challenge women who are currently leading in these areas or who want to get involved in these areas. As Christians, we need to rise up and position ourselves in places of influence in our communities and country. Continuing on from my previous post, I wanted to look into the other side of depression. The side where people use it to be lazy or to do nothing for the kingdom. Yes there is a time when you need to slow down or stop in order to recover and get well but there is no reason to throw your whole life away and write off your future. Depression is not a lifestyle it is a season. It can be cured and it can be managed. If you are newly depressed or burnt out you may need to stop what you are doing and have a season of rest. "Elijah went a day’s journey into the wilderness, and came and sat down under a broom tree. And he prayed that he might die, and said, “It is enough! Now, Lord, take my life, for I am no better than my fathers!” Then as he lay and slept under a broom tree, suddenly an angel touched him, and said to him, “Arise and eat.” Then he looked, and there by his head was a cake baked on coals, and a jar of water. So he ate and drank, and lay down again. And the angel of the Lord came back the second time, and touched him, and said, “Arise and eat, because the journey is too great for you.” So he arose, and ate and drank; and he went in the strength of that food forty days and forty nights as far as Horeb, the mountain of God." Elijah was not only depressed but he plain and simply wanted to die! It's seems from this passage that he was sleeping most of the time, a common thing in depression. But the angel told him to "arise and eat" and then he went back to sleep again. The second time he was told to arise and eat he was also told that he should do so because the journey ahead was too great for him. So what does that mean. I understand it to mean that he was to get better so that he could continue what God called him to do. Elijah had endured a great battle and won it for the Lord. If that were most of us we would have simply been satisfied with the fact that we had done something great and then settled down to everyday life. God did not plan for Elijah to be comfortable, His plans were for him to continue walking in his destiny, a destiny which was a difficult path. Yes Elijah had to rest when he became depressed but he also had to take care of himself and get better so that he could continue! Jesus said in John 16:33, "In this world you will have trouble." He also said in Matthew 16:24-26 "If anyone desires to come after Me, let him deny himself, and take up his cross, and follow Me. For whoever desires to save his life will lose it, but whoever loses his life for My sake will find it. For what profit is it to a man if he gains the whole world, and loses his own soul? Or what will a man give in exchange for his soul?" As Christians there are some givens, apart from all the wonderful promises of peace and joy and love we also have the truth that we will encounter trouble in this world. It is also a given that if you want to follow Jesus then there is a cross to bear. We ALL have a cross to bear. Mine might be depression but yours could be something else. Please understand I am not trying to make anyone feel guilty, there IS a definite time when we do need to stop and rest. The problem only comes when we stay in that place of rest and never move on from it. When we recognise our cross we should not use it as an excuse to stop but we should take the wise necessary steps to deal with it and find a way to move FORWARD! As Christians we are not meant to be using the promises in the Bible to create a comfortable life for ourselves. We are at war, our time here on earth is short and we have a clear mandate. "Go into all the world and preach the gospel to every creature." - Mark 16:15 That's it! No matter what we DO in our life our mission remains the same. If you are in business then your mandate is to preach the gospel, if you are at university then your mission is to preach the gospel if you are in politics, your mandate is to preach the gospel, if you are a stay at home mum your mandate is to preach the gospel. If you are suffering with depression your mandate is to preach the gospel, if you are going through a divorce your mandate is to preach the gospel, if you are struggling with cancer your mandate is to preach the gospel. Preaching the gospel can be done in many different ways, but the bottom line it is the good news of Jesus. Preaching doesn't necessarily mean that you have to stand behind a pulpit. The most important thing is that you are sharing the good news of Jesus in some way. It is completely different for everyone but it is the basic requirement for every Christian. Are you sharing the good news of Jesus with your life? We have all of eternity to be comfortable but only one life here on earth that needs to be spent wisely. If you are seeking a comfortable Christian life you will never be truly satisfied - EVER. However, if you are seeking to preach the gospel no matter what the cost, despite your struggles or burdens, you will find true satisfaction. The promises of God are not to make our life comfortable they are to help those who are suffering for the sake of the gospel. Are you using your struggles as an excuse to stop and do nothing or are you building a comfortable life for yourself and your family with the promises of God? For those of you that want to move FORWARD, even if you are struggling or in a bad place, please join us at our brand new event where we will be exploring our role in the kingdom. If you are in or want to be in business, politics or ministry, please come along on the first Monday of every month for a meal, a time of worship, guest speaker and prayer. Time is short, let's stand together despite our struggles and take the message of the good news into our world. 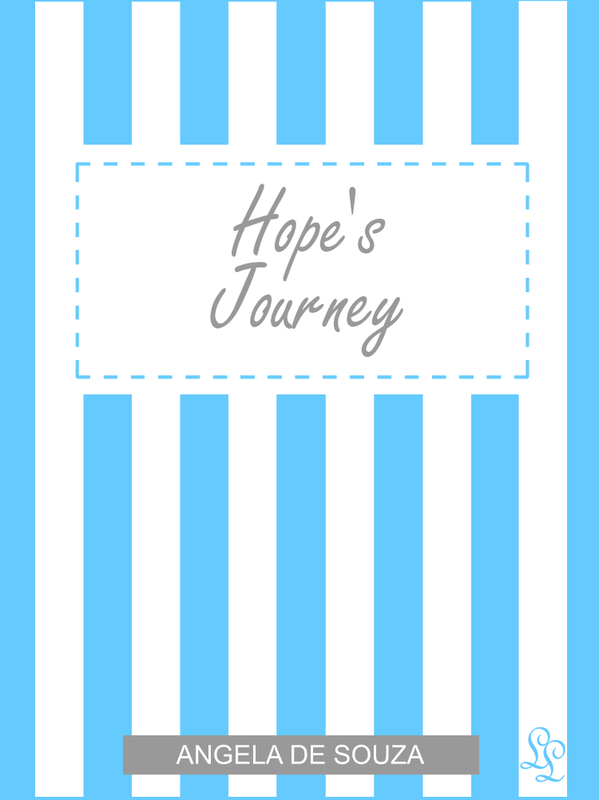 In September 2010 I released my very first book called Hope's Journey where I opened shared my struggle and victory over depression, suicide and self harming. Since that day I have had a couple of mild relapses into my old ways but can honestly say that today I am completely free of any temptation or desire to self harm in any way. Perhaps the darkness became deeper after the book was released because I felt exposed or perhaps it was 'someone' trying to rob me of my testimony. Times were especially difficult in the weeks before I was scheduled to publicly speak on this subject or share my testimony. At times the struggle was intense but I knew that many would be encouraged by my story so I knew I had to stay strong and remain in victory or else too much would be lost. It had been a battle before Hope's Journey was released and continued to be a different sort of battle afterwards too. At times I wondered if complete freedom would ever be possible but I continue to believe that it is possible. Sadly, many people confided in me about their struggle with depression and it seemed that it is a bit of a taboo subject in churches. This must stop - we must start to open up about this subject and to learn to understand those who suffer with this horrible illness. Part of my struggle has been shame. I felt ashamed that I have this struggled and felt guilty at times too. Questions such as , "Did I cause this?" or "Was I irresponsible by being too busy?" plagued my mind adding even more pressure to my already heavy load. Let's make an effort to grow in understanding of the things that people face in the world around us. In times when we don't understand, the best thing to do is say little and listen as much as possible. Words spouted in ignorance can be really damaging to someone struggling. So to kick start the conversation let me mention some things that you might not know about depression. Depression is not sadness so don't tell someone who is depressed to cheer up. If they could cheer themselves up they would. Try be patient with them and if they are very close to you - make an effort to learn about what they are going through so you can better support them. Depression is not a sign of weakness so don't expect it to go away by itself. It is a medical condition that requires treatment just like any other medical condition. Yes God can heal any medical condition and is bigger than illness but at the same time there is nothing wrong with receiving treatment when you are ill. Hope's Journey contains a lot of non-medical tips that can help manage depression but it is advisable to see a doctor too as there are times when antidepressants will do wonders. As you can tell from the subject, we are doing less in order to do more! Now we have one clear focus - to bring Jesus into the centre of all that we do whether we are in ministry, business or politics.